Testimonials are a tried-and-true marketing technique that can help overcome objections and convince people to buy your product or service. They’re used everywhere: on TV, in advertorials, even on the web. (We have ours too!) They’re especially useful for more expensive products or services, where the investment is significant and potential customers need some reassurance that it will perform as expected. However, testimonials can be tricky; especially on the internet, they can be made up or paid, and it’s really difficult to verify their truthfulness. But what if your product or service doesn’t really lend it self to lengthy testimonials? What if you just want to sell more copies of your ebook or your innovative kitchen gadget? What if you want more people to join your online community or inquire about your consulting services? Social proof (the idea that when a lot of people do something, you want to do it it too) is where you should put your efforts. Whereas testimonials can easily be falsified or manipulated (all you need is one satisfied client), social proof uses hundreds and thousands of people to show the effectiveness or interest of your product or service. Social proof is a great way to establish that what you offer is popular and therefore worthy of money or time. It’s how you prove that you have a captive and engaged audience and use that information to leverage more leads and sales. Bloggers have long known that giving stuff away for free–ebooks, advice, exclusive content by email–is the best way to quickly grow an email list. A big email list is one kind of social proof–so is the number of downloads of an ebook or orders for a sample. Giving things away for free to get any of these kinds of social proof is a quick and easy way to get more interest in your business or blog. The higher number you have, the more convincing your offer will be–but beware, only use this technique when you have 1000+ people, as anything below might actually hurt your efforts. Social proof also comes through reviews. Whether the place to review your product or service is Yelp, Urbanspoon, Goodreads, TripAdvisor, Amazon or whichever one it is in your field, you want to encourage customers to review, especially if the feedback is positive. A long list of positive reviews confers lots of social proof to the product; 33% of buyers list “Customer reviews” as one of their top influencing factors. Most sites keep some kind of rating that potential customers can see at a glance; the more positive reviews you have, the better this overview rating will be, so encourage satisfied clients to put their word in. Although it’s not a type of social proof per se, a newsletter is still the best way to engage your audience. And, as mentioned in #1, a newsletter with tons of subscribers can provide its own social proof, especially if you’re a web-based consultant, writer or speaker. Your newsletter is different from blog updates; a newsletter usually offers some kind of exclusive or curated content that isn’t available on your website. It gives your audience a reason to give you their email address instead of just getting the RSS feed. Okay, going viral isn’t really a “technique”; it’s usually something that happens without us having much control over it. 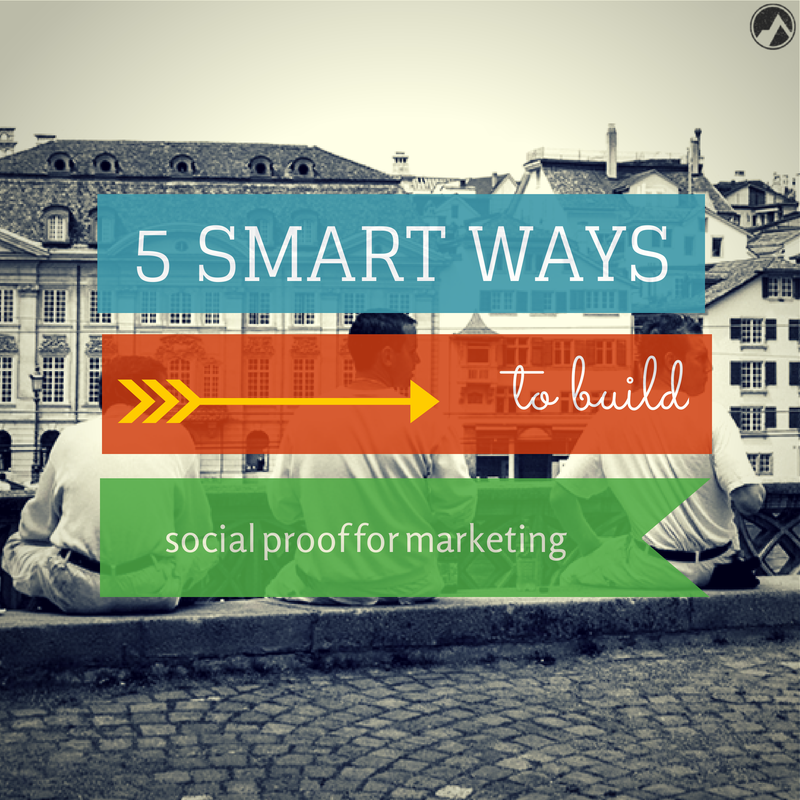 But there are few things more effective for social proof than content going viral. Even though virality is mostly in the hands of the people who consume your content, there are things you can do turn the odds in your favor. We’ve covered this topic on a previous Stikky Media post, so go there if you want to learn more about the recipe for viral campaigns. Sometimes social proof can come from one person–one powerful, influential, popular person on social media. Take for example how Guy Kawasaki is the evangelist for Canva, the easy DIY graphic design web app. His support means that he talks about Canva a lot, uses Canva for his own content, and generally spreads the word about Canva to his social networks. To get such an endorsement, you need to have something quite exceptional to offer and you need to have built a relationship with the influencer over time. But it’s certainly not impossible to achieve. Working on your social proof today using one of these techniques is an investment for the future of your business. The Social Media Channels – Post What, To Who, To Where, and Why? Everyone tells you your small or medium sized business MUST be on the social media channels. There are a growing numbers of channels, each of them becoming increasingly important in its own way. 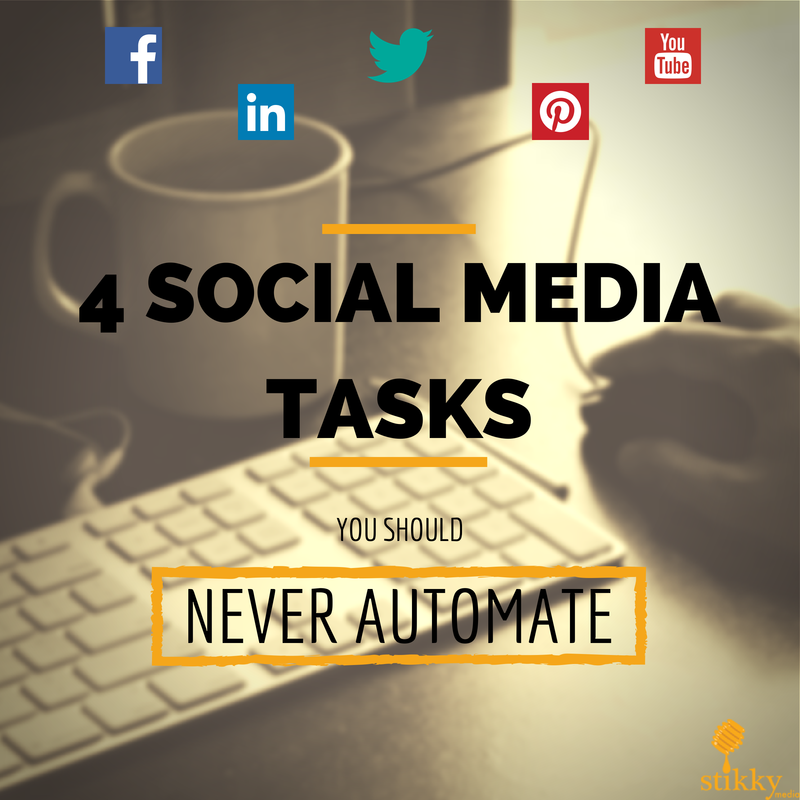 You’ve written (or had someone else write) a blog post, and now it should be posted on all four channels. There! Done. Right? 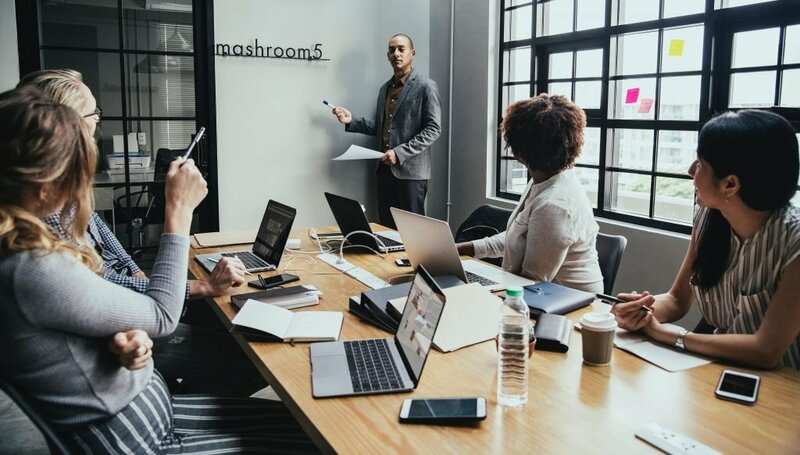 For small and medium businesses that don’t have an established digital marketing team or agency working for them, social media channel differentiation is a common source of confusion. Business owners are busy people, and most of them (unless they’re digital marketers working with digital media specifically) don’t spend much time hopping social media channels. The most common mistake I see businesses make when they come to Stikky Media for help with their social media efforts is that they only post self-promoting content and, more often than not, they post the very same content across all of the channels they’ve set up for their business. This is not the most effective way to do social media. Each channel works differently and offers different benefits. They should be thoughtfully used in ways that leverage effectiveness and benefits based on those differences. The important consideration when deciding how to post social media content is that each channel is different. Putting care into what you post on which channel and differentiating how you interact with people on each one are integral to effective social media marketing. Here is a basic breakdown and comparison of four currently popular social media channels: Facebook, Twitter, Google+, and LinkedIn. There are many others, but these were selected for their broad usefulness to a large variety of business types. Facebook generally is where you talk about yourself the most because your audience is more genuinely interested in you than your contacts on the other networks. It’s more of a commitment to ‘Like’ something on Facebook—especially a business—than it is on the other networks. For this reason, think of Facebook as your business’ most loyal audience, including your employees, especially when you first open up your page. If your business is just getting its Facebook presence started, ask all of your staff members to ‘like’ your company page and invite articulate, funny and trustworthy staff to contribute. Invite your friends, your associates, the coffee shop you and your staff frequent and the people that regularly interact with you, your business, and staff on a regular basis. From there, use compelling content and incentives to get customers, partners and more distant associates to want to connect with your page. Facebook is where you would post photos of events and people and where you would host and promote contests. The tone of Facebook is less about professionalism (in contrast to LinkedIn) and more about fun, novelty, inspiration, and connection. Facebook can be like hosting a party, so make it entertaining! Involve fun people you know, let your company’s personality shine through, and do this through creating and sharing great content. In fact if your company hosts a party, Facebook is definitely the place to post some fun pictures of it. If you can mention or tag other business pages or Facebook users in those pictures, even better. Quality content for Facebook can include graphical memes (images with words that people hopefully like and share), videos either via YouTube (if you have your own YouTube channel: bonus! ), photographs, polls, news of relevance and interest, as well as brief thoughts that are entertaining, thought-provoking or inspiring. On Facebook, it’s common for contests to encourage interaction and to generate new ‘likes’. Just keep in mind that generally speaking, Facebook is where you assume you are posting primarily to people who already know you and/or your business and already like you. People on Twitter like to tweet about Twitter. Twitter is probably the most difficult social network to describe out of the four we’re covering here, but it can be a powerful one for traffic, b2b opportunities, and lead generation, as well as encouraging the search engines to cast a kindly eye on your site(s). People on Twitter are often quick to follow you back if you get the knack for recognizing who tends to follow back and who doesn’t. (I will cover this topic in my next article.) Twitter is where you talk to people while assuming they don’t yet know you or your business. It is essentially the opposite of Facebook in this way. Established businesses often build a significant Twitter following based on current customers; in fact, many larger businesses use Twitter to provide customer service. But for your average company just getting started with social media, it’s best to assume that your follower base will network with you for reasons other than knowing and loving you and your products. The upside to the less personal nature of Twitter is that people ‘follow’ each other more readily on Twitter than on Facebook. A good place to start is by networking with your local business community and to broaden out your connections from there. So what should you post to Twitter? Certainly not the same content as described for Facebook. You have only 140 characters to work with, including the Twitter handle of other users, any URLs you share (which should be shortened), text, spaces, and punctuation. It’s tricky getting used to working with this format! Things to post on Twitter include: quotes, commentary on current events, humour, inspiring words, links to content on your site with compelling and succinct descriptions, replies to other Twitter accounts who have interesting things to say or who have directly tweeted to you, and the important part of Twitter networking – the occasional ‘Retweet”, which is where you share another account’s tweet on your timeline. An important part of establishing yourself as a new unknown on twitter, particularly for small businesses, is to make a habit of following and retweeting other accounts with the hope that some of them will reciprocate. If your company has a party, Twitter is not the place to post pictures from it. Twitter is the place where you could make general comments—witty, inspiring, wry, your choice—about the experience of the staff party, or about staff parties in general. You should also ‘shoutout’ to other Tweeters who attended by mentioning them with their Twitter @user handles. Google+ is an important part of social networking for many businesses (because…Google); however, its user base is not quite as broad as either Facebook or Twitter. It’s particularly popular with people who work in technology or information sectors. However the business community is rapidly growing and it’s worth participating in it if you have the time and resources to post across numerous networks. The content is laid out quite a bit like Facebook and LinkedIn, but the community is more like Twitter – less personal, more of a professional network. Google+ is a good place to network with other business owners who are tech savvy. People are quicker to ‘follow’ back on Google+ than they are on LinkedIn or Facebook. Plus, there are numerous communities where you can connect with other businesses and people to generate interaction, which Google regards as a boost to your online reputation. Post a range of things on Google+ with the understanding that it’s less personal than Facebook, not quite as professional as LinkedIn, and that you’re speaking to a tech-savvy audience. Photos (less personal), memes, videos, infographics, commentary, and longer posts that can essentially be themselves blog posts are all popular and effective forms of content on G+. There is an art to writing longer-form posts for Google+ and here is an excellent guide on how to write them. (http://www.copyblogger.com/art-of-google-plus/). LinkedIn is known for its unique demographics: it is a more affluent network of well-educated professionals. The content is laid out similarly to Facebook and Google+, minus the latter’s long form post capacity. LinkedIn is not the place to post contests or silly/fun memes, nor is it the place to post staff party pictures or other content that is casually personal. It is where you represent yourself and your business carefully. Appropriately personal content on LinkedIn could be announcing the addition or promotion of a prized member of your staff, business partnerships, or to congratulate others in your network. Out of the four channels we have mentioned here, LinkedIn company pages are less able to interact outwardly on the LinkedIn network. A business page is not able to ‘like’ other pages; only individual accounts can do that. For this reason, it’s initially difficult for smaller businesses to get connections to their page. You can certainly start by asking staff, associates and friends to connect with your business page. But once the business page is set up, do not post as if your audience knows you; post as if you are trying to impress someone above you. LinkedIn and Google+ content is easier to cross-post, especially if you work in the technical domain. However, always make sure to tweak the tone to the channel—it’s okay to be less formal on Google+. Popular topics on LinkedIn include economics, work and career information, leadership advice and industry trends and news. Think of the tone of LinkedIn content as being similar to what you might put in a company newsletter. Rules – Know them, Follow them, Bend Them, Break Them. After reading this, you might think that these are hard rules that must be followed if you want to be successful at social media for your business. It’s important to realize that these rules are all yours to break, as long as you do so thoughtfully and intentionally. Once you consider and understand the differences between these social media channels, then these suggested rules are yours to follow, bend, or break however you think is best. If you have a creative mind working with your social media, perhaps that mind will play with making your company LinkedIn profile stand out from the rest by posting humourous takes on business topics. Perhaps you have a photographer on staff that somehow takes the funniest staff party pictures ever with broad audience appeal and tries taking them to Twitter, subsequently generating untold retweets and new followers. The truth is, there are no hard rules for social media content. The channels themselves are continuously changing, and every business talks to a different audience. The starting place is to recognize that the social media channels are different and that your business is most likely to reap rewards from your efforts if the content posted to each of them is created and submitted with these differences in mind. People have many ways to complain about your business online and all of them are public. When you hear the term brand reputation what do you think of? I think of press releases, press conferences, special appearances, and interviews. This is what’s referred to as traditional public relations. Now that the Internet is the majority of people’s first interaction with a company it is important to create an online brand reputation plan. And plan like you’ve never planned before. 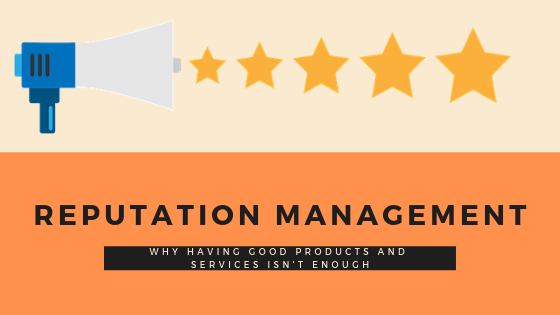 The main goal of online brand reputation is to ensure that only positive results about your business show up in the search engines. SEO or search engine optimization for brand reputation management involves improving the keywords and tagging of your company’s published materials. This will put a focus on your positive materials by pushing them to the top of the search engine results. Creating positive content such as blog posts, social media profiles and websites and pairing it with SEO should overcome any negative comments or posts. I should mention here that you want all of these tactics to be proactive and you always want to be sure to create only content that is true. The key is to be transparent and approachable. The third tactic is to promote the positive things your business is doing in the community by submitting online press releases. Just like submitting a press release to a traditional media outlet, you would want the press release to go to an authoritative source. This could be a credible online newspaper, television station, or a government supported website just to name a few. Of course, what is considered authoritative will depend on what your business does or the type of product it sells. Ethical practices around online brand reputation are still being discussed and worked out. As I mentioned before, you want to make sure that any content you are putting on the World Wide Web about your company is honest. The public needs to be able to have the choice to view what they want. On top of that, your company needs to deal with these negative comments on an interactive level. This could be as simple as responding to the customer’s complaint and offering ways to resolve it. With careful planning and positive interaction with customers, your company should be able to maintain an excellent online presence. Lack of engagement. Robotic presence. Potentially awkward timing. We all know your business can suffer due to excessive auto-posting, but what about your personal life? Ever thought about the consequences of spamming your friends with intimate details that may harm your reputation—both online and off? AstroTurf. Once famous for being the Brady Bunch’s lawn of choice, the term now refers to the endless stream of opinion spam that litters websites around the globe. When it comes to social media, it’s easy to get lost in the number crunch. Facebook has over 500 million users, Twitter has over 175 million. You have 357 Facebook friends, 3246 Twitter followers and your blog has been read 467 times. You have 23 mutual friends with someone on Facebook, yet you have no idea who that person is. I’m a virtual pack rat. Every personal email I receive is transferred into a categorized folder and never looked at again. There are thousands and thousands of emails, and like most pack rats, I can’t explain why I keep them. The emails wouldn’t ruin my life if made public, but they do contain a wealth of embarrassing personal information. If I wanted someone else to know every thought my friends and I have had for the past 12 years, I’d print off my emails and stuff them under my mattress. But they’re password protected, so when I die, my inbox will die with me. Today is Thanksgiving in the United States of America and for many people that just means a day to stay home and watch some awesome NFL football match ups. One NFL star has embraced the Social Media revolution and is using all avenues possible to market himself. The outspoken Chad Ochocinco (formerly Chad Johnson) of the Cincinnati Bengals is on a Social Media Marketing mission as of late. Fanfare for Chad has always been huge, his extravagant and innovative touchdown dances and his always controversial comments to the media have kept him in the NFL spotlight for years. Some hate him, some love him, but everyone can admit that he is entertainment. Ochocinco has been stuck on a mediocre team in Cincinnati for the past few years but they have really picked it up this season and are playing the their lowly rivalries the Cleveland Browns Sunday afternoon in a bid to go 8-3-0 as they sit on top of the AFC North.